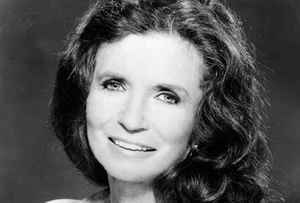 June Carter was an American Country singer and songwriter. She also was a member of the famous Carter Family. In 1968 June married Johnny Cash. Born June 23rd, 1929, in Maces Spring, Virginia - died May 15th, 2003, in Nashville, Tennessee. She died from complications following heart valve surgery on May 15th, 2003.